Prisco has over 100 years of experience helping printers improve their process! Our customers enjoy the benefit of a one-source supplier for all pressroom chemistry, consumables, environmental and process control equipment as well as on-site technical support to assist them in optimizing their manufacturing operations. We are happy to now offer this combination of services and products to flexographic printing operations to help improve bottom-line profitability. PriscoBond is a superior line of adhesives designed and formulated by Prisco. The PriscoBond product line and proprietary formulas cover the entire gamut of flexographic print production applications. Whether you are looking for a laminating, hot-melt, or water-based adhesive, our chemists have developed a number of quality products to help you put the ‘finishing’ touch on your work. A number of PriscoFlex water-based and UV coatings have been developed for the flexographic market. These include products with Gloss, Satin, Matte and Specialty finishes. All Prisco coatings have unique formulations that provide excellent performance and outstanding durability. Our manufacturing facility also has the ability to address coating volume needs ranging from individual pails to large tankers. 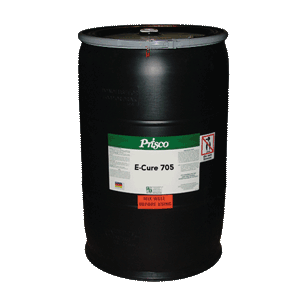 Our E-Cure 705 is a general purpose Flexo UV coating that has a unique formulation providing excellent gloss and outstanding durability. E-Cure 712 is a high-quality gloss UV coating that is Benzophenone Free. For the flexo/heatset-web markets, Q7001A-W is an aqueous product that is chemical resistant. 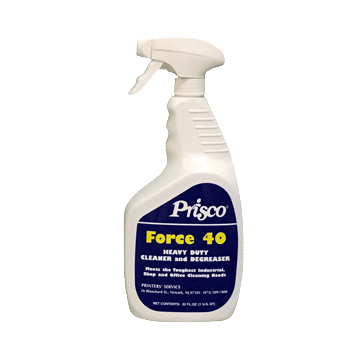 PriscoFlex washes and cleaners have been designed to effectively clean rollers and plates. Our products can address the cleaning needs of anilox rollers using both water-based and UV inks. Since it is critical to prevent the swelling of photopolymer plates, we have formulated our products to meet that criteria and help you achieve better print quality as a result. If you would like to learn more about our Flexo product offerings, please fill out the form below.